•Having a dream to re-build decaying communities and lives by making the world a better place for all of humanity to live in peace and harmony. The Rev. Dr. Christopher D. Handy strives to raise the conscience of people everywhere to make a difference. His meager beginnings in a small rural town in Monroe, Louisiana and his childhood in a housing project greatly contributed to his mission to enlighten, inform, educate, and motivate people to better themselves, their communities, and the world around them. •Dr. Handy has written many articles for various newspapers and magazines. He has organized marches to combat violence, injustices, and poverty, and while in school in Michigan he ministered on the 'bad' streets of Detroit and other cities. He continues to uphold justice and freedom by sharing his experiences with audiences everywhere. His first book “The Scars of Racism” has made a stunning and positive impact on people of all races. •In 1999, Dr. Handy founded a Non-denomination Christian Community Church Ministry called The New Testament Bible Church and a non-profit organization called I.C.A.N (Innovative Community Action Network); Dr. Handy main focus is the future of our younger generation and the out casts of our society. In effort to prepare all young boys and men for the realization of being a man in today's society, he has developed a program called "Christian Manhood Training Program" (CMTP), which is a rites of passage program which deals with many of today's tough issues such as developing a relationship with God, treatment of women, responsibility of being a Father, learning to love and not Kill, the importance of an education, handling racism, and the dangers of drugs and alcohol abuse. •Dr. 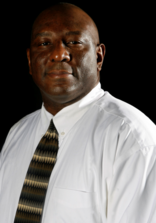 Handy is currently the CEO/President/Executive Director of Innovative Community Action Network (I.C.A.N.). His focus is working with at-risk and troubled youths, the poor and needy, the disenfranchised, and those without hope within the community by helping them to believe in themselves and encouraging them to strive for success. He was honored in 2002 with an Honorary Doctorate of Humanities Degree from The Institute of Christian Works for his work with his Mentoring Program for at-risk and troubled youths. Dr. Handy is also a certified prison fellowship counselor, who has spoken to numerous inmates of all ages on how to survive on the inside, thus, preparing them for their release into society. Dr. Handy is a Licensed and Certified Counselor/Certified Life skills Coach and Trainer/Adult Organizational Development Specialist. Dr. Handy is a Certified Private Post Secondary Educator in Christian Education. Dr. Handy is the President/Chancellor/Founder of The New Testament Bible Church Biblical Institute. He serves as Professor of Theology and Practice of Ethics and Ministry. In April 2011, Dr. Handy was appointed Bishop of the Louisiana Conference from Fellowship of Christ International; his appointment was accredited to his many years of dedicated service to God, service to humanity, and ministry. His district covers the entire state of Louisiana. •His educational background includes an Associate Degree in Business Administration from Louisiana Business College, a Bachelor’s Degree in Religious Education, a Bachelor’s Degree in Theology, a Master’s of Divinity Degree, and a Doctorate of Theology Degree from Andersonville Baptist Seminary in Camilla, Ga. He has a Ph. D. in Philosophy in Counseling from the Institute of Christian Works in Columbia, SC. Dr. Handy is the Father of three children and definitely believes the family is the foundation of any society. Dr. Handy has received many citations and special recognition awards from many states and civic organizations across the US. 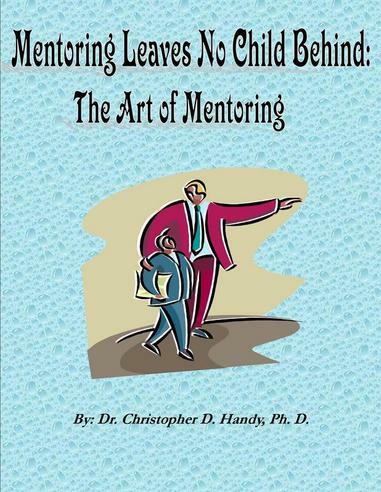 "Mentoring Leaves No Child Behind: The Art of Mentoring"
Empowering the Child, Encourage, Strengthen and Nourish Your Child with these Powerful Concepts. Teaching a child to have a strong positive self image will also help to keep the child from having future behavioral problems. Building self esteem in a child will be the creating factor in the makings of a health adult both in mind and body. The foundation of having confidence and the rounded well being factor will definitely carry through to adulthood and the successes expected. It is quite simple to be able to provide for the basic necessities of a child such as food, clothing, shelter and others. However when it comes to providing the nurturing element in a child’s life a little more thought and energy needs to be exercised. There are some general guide lines that can and should be followed to ensure the emotional health development of a child and in this book you will find them to empower your children. 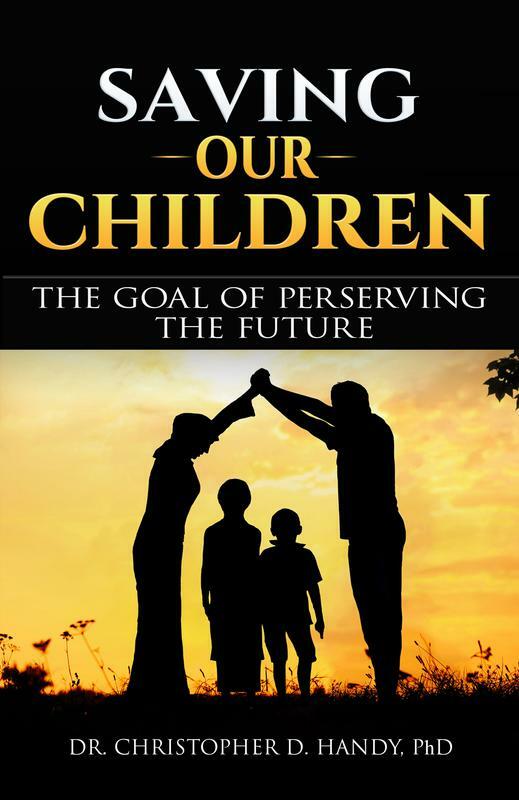 Saving Our Children is a collection of essays written to educate society on how to save our youths from the challenges that comes today with being a child. Our Children needs saving and sound instructions on how to survive in a society that does not understand them. 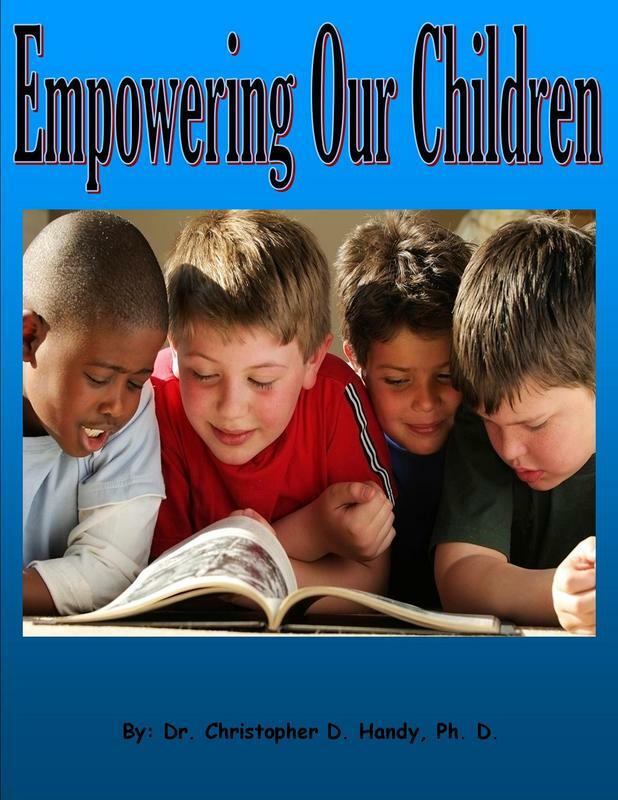 Saving Our Children, gives the reader workable solutions to use to help our youths succeed in society. Saving Our Children is a blue print to save our children and our future. Talking with kids involves many things, the use of words (what we say and how we say it), ideas and feelings. We communicate in different ways such as with words (kind, unkind, assertive, gentle), with looks (scowls, smiles, frowns), with silence (warm, cold and comfortable), and actions (hugs, slaps, kisses, patting). Many adults do not have trouble communicating with kids when it simply involves giving directions or instructions (how to ride a bike) or explaining things (why that house caught on fire). They often have difficulty communicating when feelings are involved, be it their kids feelings or their own. Being able to effectively talk with kids helps to develop warm relationships, cooperation and healthy self-esteem. Parents struggling to communicate with their kids often leads to conflicts and bickering, kids who simply "switch off" and have low self worth. The strategies I suggest in this book will be helpful and suited to many children, but of course all kids have different needs so you will need to improvise and add details where you feel appropriate. 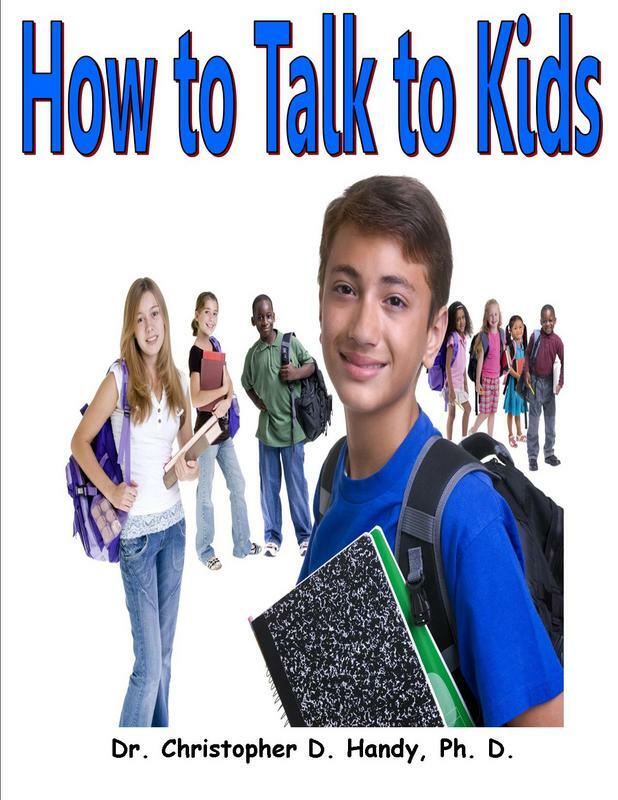 I have written this book as a resource guide for talking with kids about sensitive issues and also to give you a starting point. Talking with your kids in my opinion is the only way you can ensure that they are learning the correct information and the values you wish to instill. You need to be consistent, reliable and open to discussion as much as you possibly can. The world we live in is constantly changing and evolving. We need to try to help our kids comprehend various issues that even we sometimes struggle to understand. Any time that a child is curious enough to ask a question, it becomes a teachable moment for us to take advantage. Although we may find some issues difficult to explain, we must try. If we want our kids to remain motivated to come to us to ask questions, we must keep the lines of communication open and offer answers. This book is a guide to help those seeking to make a difference in the lives of a younger person, through mentoring will find this book a helpful and informative guide on their journey to become effective mentors. This book will provide a simple and effective method on how mentoring can help youths find themselves and become productive adults within the community and in life. Mentoring offers hope to a generation that has lost hope by allowing the young person to view the life and accomplishments of that of the mentor. Mentoring leaves no child behind because it reaches that young person and brings them forward and not leaving them behind in their current situation. Today, one in five children are considered overweight, and this increase is seen in children and teenagers, in both genders, and in among all age and ethnic groups. 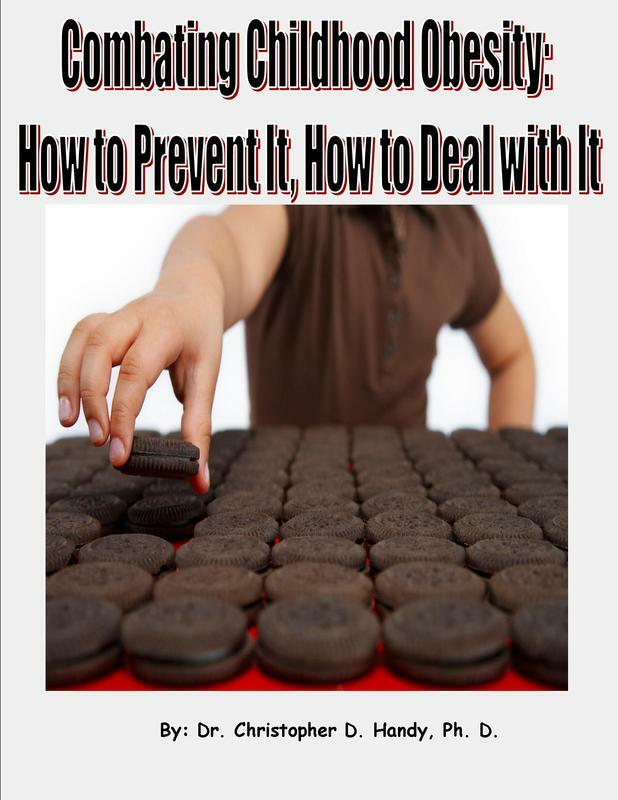 In this book you will learn "How to Prevent It, How to Deal with It" and how to save your child or those children who are important in your life from obesity. If you are finding it hard to keeping your young adult interesting and out of trouble, you are not alone. Young adults when enjoying activities will learn how to develop a positive mind if they continue to stay active. When a child has nothing to do, they feel bored, which can lead them into trouble. Throughout our history, we see clear evidence that when a person is inactive they often come face to face with the law at one time in their life. To help children stay out of trouble we have to find something for them to do. Something can include karate classes, time with dad, Awana programs, after school activities, crafts and more. Your young adult will benefit from these activities only if he or she is interested. If your child shows no interest in a particular activity, it is important to help your young adult finds something that he or she likes. When a child enjoys the activity likely, he or she will pursue goals he sets to complete his role in the actions. 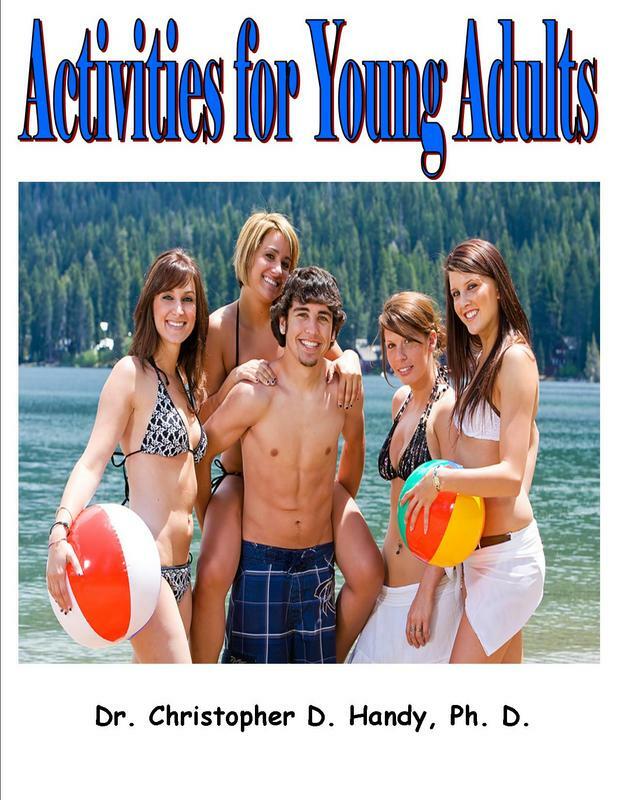 To help you appreciate how young adults benefit from activities I have written 50 articles that guide you to helping your child. It is my sincere wish that after you read this book, you will have developed some tools to help keep your young adult interested, focus, out of trouble, and keeping the family strong. "Saving Our Children: The Goal of Preserving The Future"